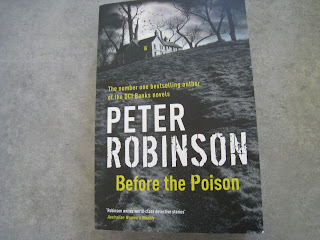 The Little House of Concrete Bookshelves: Peter Robinson "Before the Poison"
Having voraciously devoured almost everything in Peter Robinson's Inspector Banks series the sight of a new Robinson title in a book shop is almost invariably followed by a hit on the credit card balance. A glance at the blurb on the back cover (a what's he got Banks into this time? sort of thing) suggested we were talking a Banks-free zone this time around, and the opening sequence, where convicted murderer Grace Fox in hanged in January, 1953 seemingly confirmed those suspicions. Starting a story fifty-something years ago opens the possibility of a case reopened, so there could have been an opening for Banks in that regard, the accidental discovery of something that brings the case back to attention or something along those lines, but here the something is a house and the investigator isn't a police officer. Yorkshire native Chris Lowe wants to return home after the death of his wife and buys an isolated semi-stately home (Kilnsgate House) sight unseen. After a successful career as a film score composer he has visions of working on his movie soundtracks there once he's managed to get this piano sonata out of the way. Partly due to the aforementioned isolation, Kilnsgate has been largely unoccupied for close to sixty years, and Lowe discovers a few previously undisclosed details about the place from real estate agent Heather Barlow who turns up with a basket of supplies shortly after he has moved in. On a wintry New Year's Eve a snowstorm isolates Kilnsgate House, where a dinner party has been followed by the sudden death of Dr Ernest Fox, the apparent victim of a heart attack. Allegations that Grace and her much younger lover planned to do away with her husband soon emerge, along with suggestions Dr Fox was about to take up a position in the south (a move that would separate the lovers). As it turns out, Grace and her husband seem to have quarrelled about the appointment, though the argument doesn't stem from the obvious motivation. Grace is convicted and executed, the lover, an artist, moves to Paris where Lowe tracks him down and garners further details about the past, and the gradual unfolding of events leads Lowe to South Africa with the whole matter seemingly nutted out only to learn that he's barking up an entirely wrong tree. Actually, he's "so far off target they'd have to send out a search party for the truth." The truth, as it turns out, has been signalled fairly comprehensively on the way through, particularly in the latter sections of Grace's journal, and while there's no way of confirming the objective truth you're left (or at least I was) with the feeling that if it actually was homicide Grace's wartime experiences make it an understandable act. Things aren't quite the way they seemed as far as Mr and Mrs Lowe are concerned either, and there's a neat twist involving the victims' son and his own offspring. All in all, an intriguing read that isn't going to parlay itself into a series unless Robinson can pull some rather spectacular rabbits out of the authorial hat. It's difficult to see how Mr Lowe and Ms Barlow are going to find further cases to follow up, and this isn't a plot line that would have worked with Inspector Banks and his colleagues either. Or rather, it might have, but you'd have to forego the Chris Lowe first person narrative, wouldn't you? 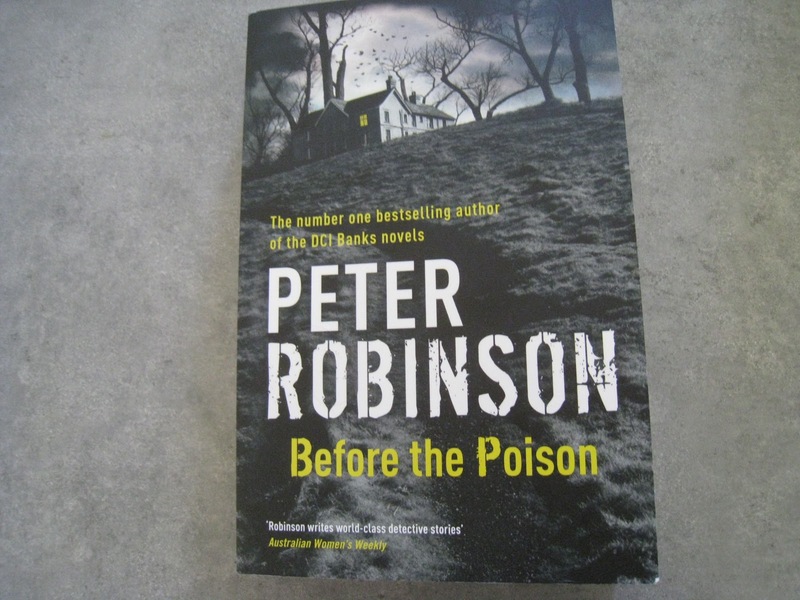 As stated, Before the Poison is an intriguing read that had me turning the pages over about a day and a half, which says something about Robinson's writing ability.